As a nurse, there is a wealth of information that needs to be carefully read, scrutinized and relayed while caring for a patient. While you were in nursing school, you most likely used a variety of Mnemonics as a study tactic that improved your memory and to make studying and retaining information a bit easier, less stressful and dare we say it...a little bit more fun? 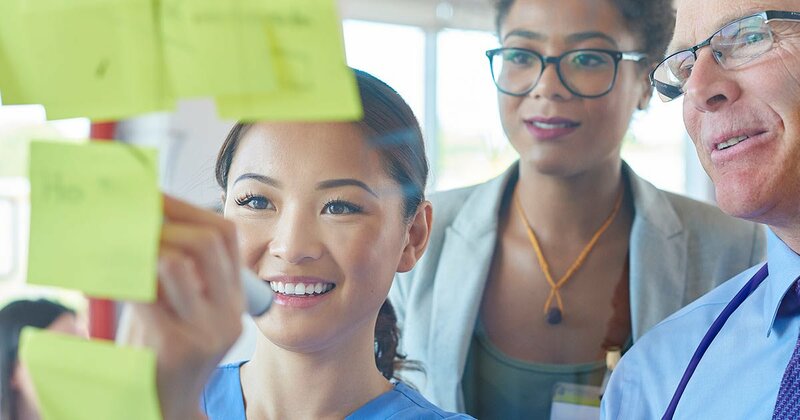 Now that you are practicing, you can still use those same Mnemonics throughout your day to help you to improve your workflow, stay focused and better improve your ability to care for and treat your patients throughout the day. Here are 5 that you should try during your next shift. ADPIE is an acronym that stands for assessment, diagnosis, planning, implementation and evaluation. You'll remember ADPIE is the nursing process in which you use these steps to provide proper care and treatment to your patients. But instead of just using this as a memory tool to check on your patients, you can apply this same technique to your daily activities to make your work day easier. For example, before you head into a shift, you'll want to ADPIE your mental and emotional health so that you'll be at your best before you start dealing with patients. ABCDE is an acronym that stands for assess, believe, choose, deliver and empower. You'll remember that ABCDE always starts with asking the patient questions and doing an assessment so you can then provide them with options for pain relief. Given the recent increase in substance abuse, the nurse's role in educating patients about the opioid epidemic has increased dramatically and it is important that nurses deliver possible interventions to pills and enable and educate the patient with other options to alleviate pain. SAMPLE is an acronym that stands for symptoms, allergies, medications, past medical history, last oral intake, events. When you are doing a nursing history, you have to remember to ask the patient questions that can get you a clearer picture of their health and medical history but how often do you ask yourself these questions? As nurses, you are always busy caring for others that you can forget to check in on yourself. Take 5 minutes during your day to stop, take a deep breath, and assess yourself with SAMPLE. DIG FAST is an acronym that stands for distractibility, indiscretion or excessive Involvement in pleasurable activities, grandiosity, flight of ideas, activity increase, sleep deficit and talkativeness. You'll remember that you used DIG FAST to help to diagnose mania and bipolar disorder. Mania is one of the primary symptoms of bipolar disorder. It can also be the side effect from the use of prescription medications as well as some illicit drugs. DIG FAST is the acronym for the symptoms of mania. Price is an acronym that stands for pressure, rest, ice, compression, elevation. You'll remember PRICE when you're treating a fracture. Remember to utilize these acronyms throughout your day to help you elevate your own well-being and to help you manage your tasks.